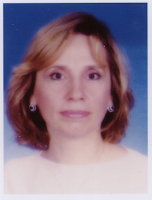 Sawsan Halabi Ezzeddine is Dean of the College of Nursing and Health Sciences at the Makassed University of Beirut. Completed BS in Nursing from American University of Beirut in 1980, Masters in 1983 and PhD in Education from the Lebanese Univerity in 2014. President of the Federation of National Nursing Associations for 8 years (1992-2000). Drafted the current Nursing Order Bylaws submitted to the Ministry of Health and approved in 2002. Received the Nurse of the Year Award offered by the WHO and the Order of Nurses in 2007. Participated in many national research projects by the MOH and WHO to promote the nursing profession in Lebanon, and memeber in many professional associations.